The earlier mod releases were having some bugs in them. Please download and apply this patch to avoid any trouble. This mod adds the whole Hungarian squad plus some new units. I have just updated the Downloads section so as a result, now you can post your own mods. Yow should also notice that the categories are more informative. Anyway if you find any broken links or other errors please report them in the forums. Regards. FlaK 88 Typ.41 Shielded AA Gun has been added to the Downloads section. The axis 210mm Mörser 18 heavy howitzer has been added to the download section. The downloads section has been recently tweaked and now you can post your own scenarios. To do that you have to register, go to Downloads and click [Upload] in the upper-right corner. If you have any problems with this please write in the forums or contact me directly. Regards. 6 new German units have been added to the download section. In this pack Sd. Kfz. 186 Hummel (+ snow texture), Sd. Kfz. 181 Sturmtiger, Sd. Kfz. 161/4 Wirbelwind, Panthertower, Rheintochter and a Fuel Truck are included. 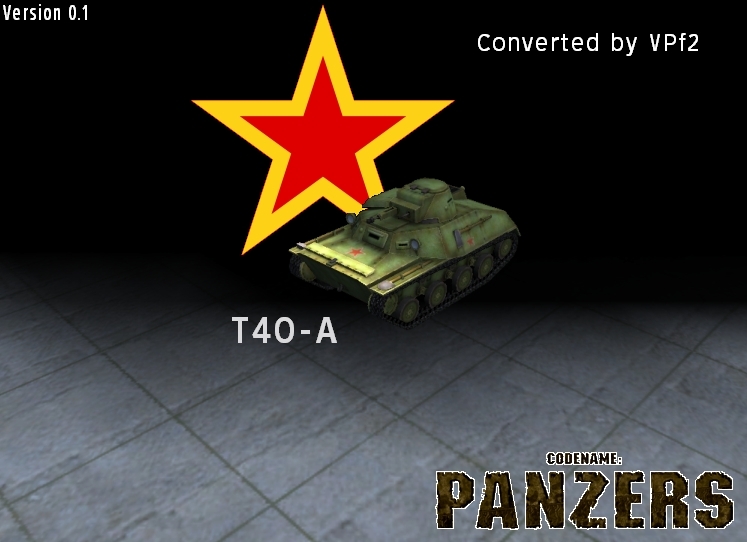 The Soviet T 40-A amphibious scout tank has been added to the download section.